No matter which type of citrus fruit you prefer, clementine oranges or mandarin oranges, you know you'll get a low-calorie snack. They're relatively comparable in the nutrients they provide, although clementine oranges are slightly more nutritious. So peel them, pop them in your mouth, add them to your salad or stir them up in your morning yogurt. You'll get a ton of flavor and plenty of nutrients for not a lot of calories. One clementine or small mandarin orange each weighs about 75 grams, or a little over 2 1/2 ounces. Clementines of this size have 35 calories, whereas mandarins contain 40 calories. Protein makes up less than 7 percent of the calories in both fruits, while fat accounts for under 5 percent of the overall calories. The biggest chunk of calories in clementines and mandarins -- over 88 percent -- is from carbohydrates. If you have a preference of clementines over mandarins, or vice versa, you'll get about the same amount of fiber. A clementine contains 1.3 grams of fiber, while a mandarin orange offers 1.4 grams. You should be getting 14 grams of fiber for every 1,000 calories in your diet, as stated by the the publication "Dietary Guidelines for Americans, 2010." That means if 2,000 calories is your daily average, you'll need 28 grams of fiber a day. Snacking on two of these citrus fruits each day gives you 10 percent of your fiber needs for a 2,000-calorie diet. You have to get vitamin C in your diet every single day because your body doesn't have a way to store it. Vitamin C battles free radicals, shielding cells from damage; aids in producing collagen for healthy skin and even helps your immune system ward off foreign bacteria. Nibbling on a clementine fruit gives you far more vitamin C than a mandarin orange -- 36 milligrams vs. just 20 milligrams from a mandarin. Men need 90 milligrams daily, and women require 75 milligrams, according to the Institute of Medicine. One clementine makes up at least 40 percent of your vitamin C needs for the entire day. A mandarin offers at least 22 percent. While both clementines and mandarins contain small amounts of several B vitamins, clementines offer higher amounts of some of them. B vitamins keep your metabolism going, power your brain and aid in cell functions, including red blood cell production. You need 400 micrograms of folate daily. 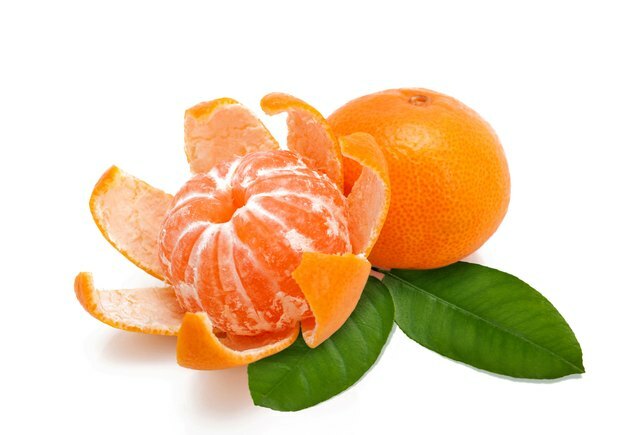 A clementine has 18 micrograms, while a mandarin provides 12 micrograms. Aim for 1.2 milligrams of daily thiamin, as a man, or 1.1 milligrams, as a woman. You'll get 0.06 milligram from a clementine and 0.4 milligram from a mandarin. Does Orange Juice Help You Lose Weight?